I waited 3 hours for this male grizzly bear to wake up from an afternoon nap. 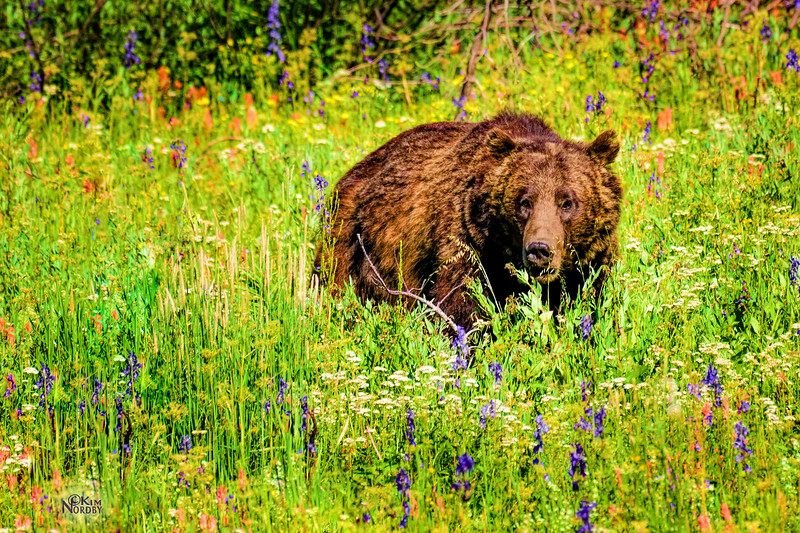 This large bear grazed and walked through a vast meadow of wildflowers in the early evening light. He was amazing to watch, and I'm so glad to share him with you.